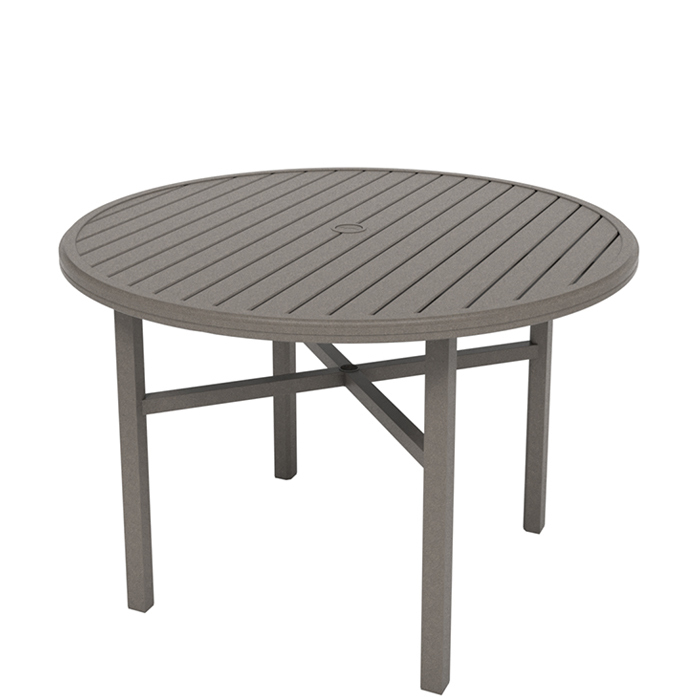 Amici 54" Round KD Counter Umbrella Tables are created to enhance your outdoor space. This table is ideal for beverages or in-pool accessories. Our collection serves as a superb maintenance free solution with an ideal surface for quick lunches by the pool. Each tabletop replicates the authentic look and feel of natural materials.